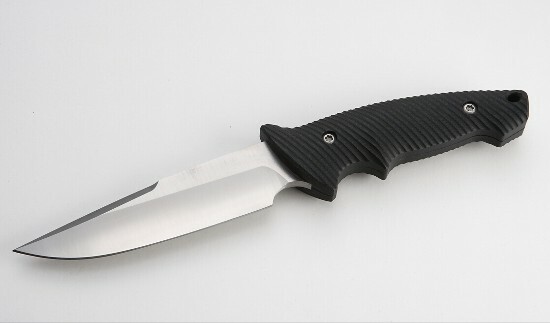 The CS-1 was designed to be the ultimate fixed bladed field knife for combat and survival and was developed over a 6 year period. 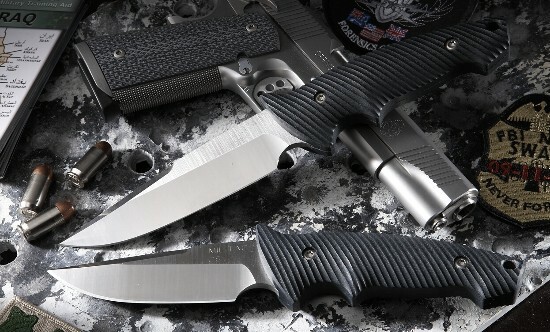 The design was honed from feedback from many military and law enforcement units and their desires for a fixed bladed knife that is extremely tough yet comfortable to use for long periods of time. The design therefore dictated a 6.5 inch long (0.205 inch thick) blade which is made of Crucible CPM S30V stainless steel. The S30V stainless steel was designed to offer the best combination of toughness, wear resistance and corrosion resistance and the vanadium content adds additional hardness and wear resistance. The blade is thick with a very tough spine to give the user additional blade strength as well as tip strength and yet at the same time the grind lines are high enough to produce a very light weight blade with a razor sharp blade edge. The handle was designed to fit the human hand perfectly even if you are wearing gloves during cold weather or wet operations for comfortable long periods of hard use. The handle material is CNC machined G-10 which is impervious to most liquids and temperature changes and they are extremely tough for any environment encountered. Added to all these wonderful features is a choil forward of the guard and a birds beak at the rear of the grip allowing multiple positive gripping positions as well as a thumb ramp to provide positive traction for the thumb. 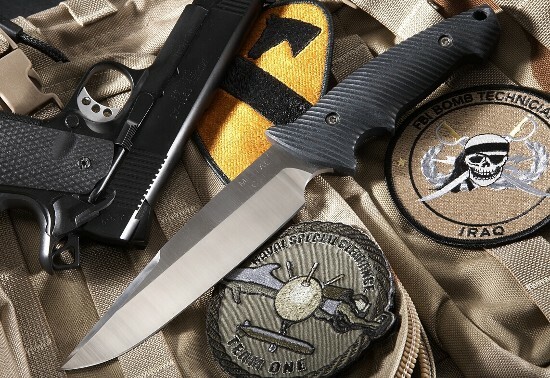 The satin finish and overall construction combination make a extremely durable knife that will be a low maintenance items for military and law enforcement in the field. 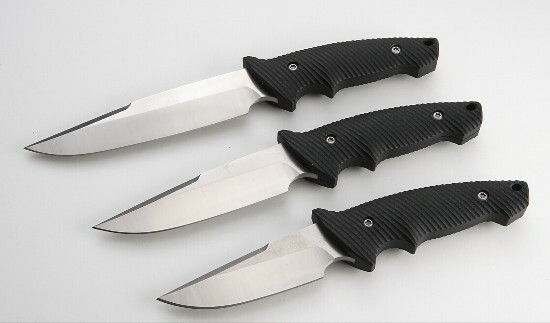 The CS-1 is available with a satin blade and with a black handle of G10 or a black and gray laminated G10 handle either with a false edge or without a false edge. A soon to be realeased item will be the CS-1 with a black, desert tan, or OD green ceramic coated blade with additional colors of G10 handles.